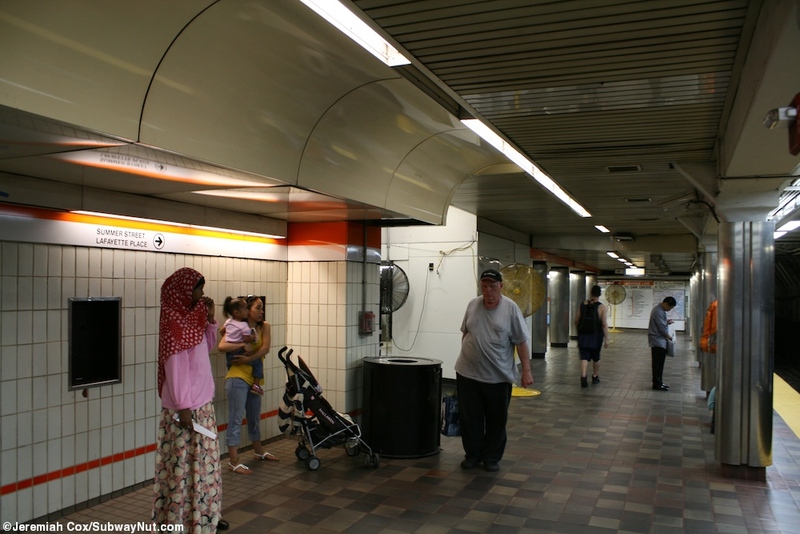 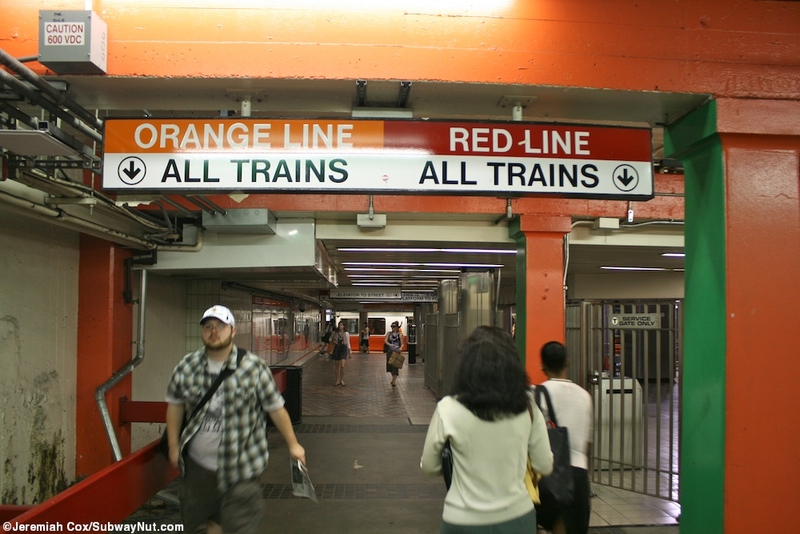 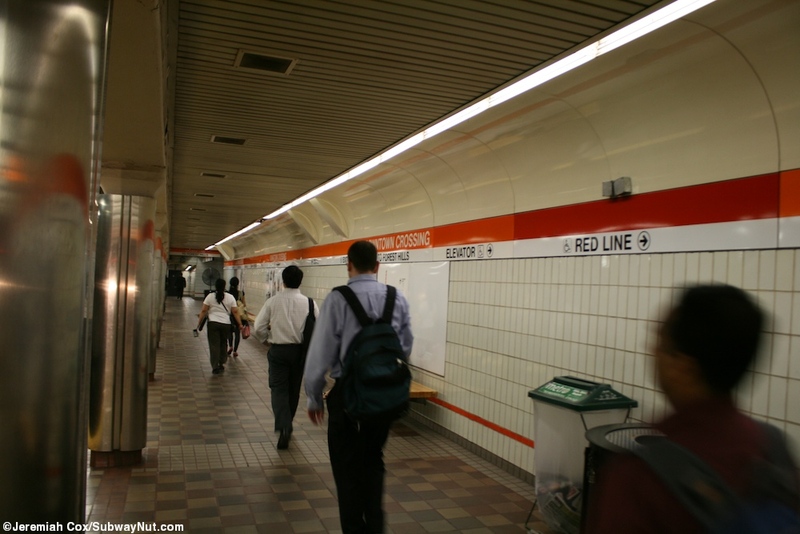 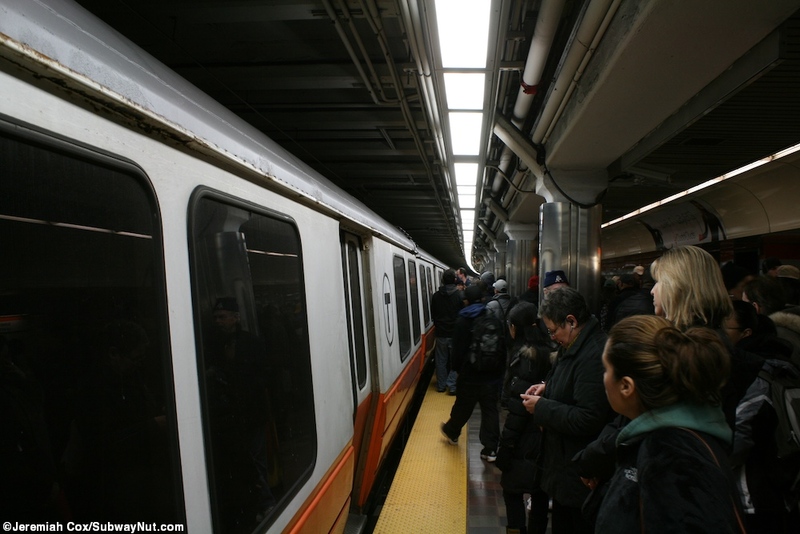 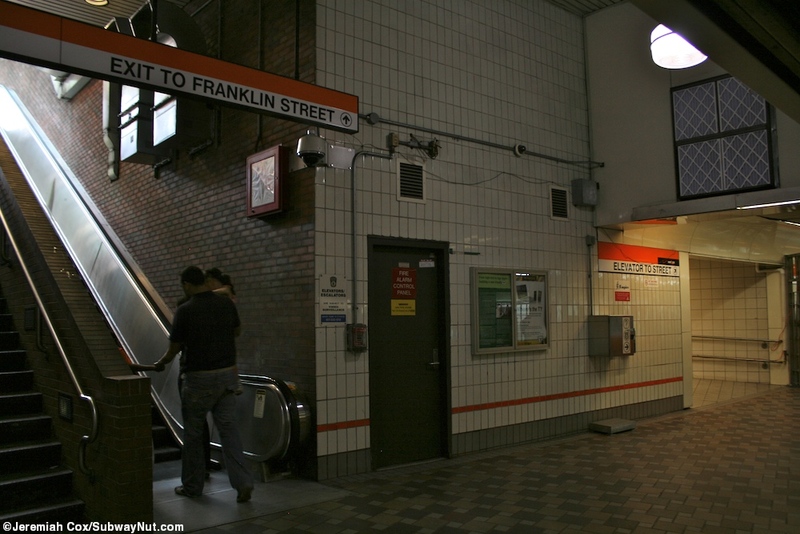 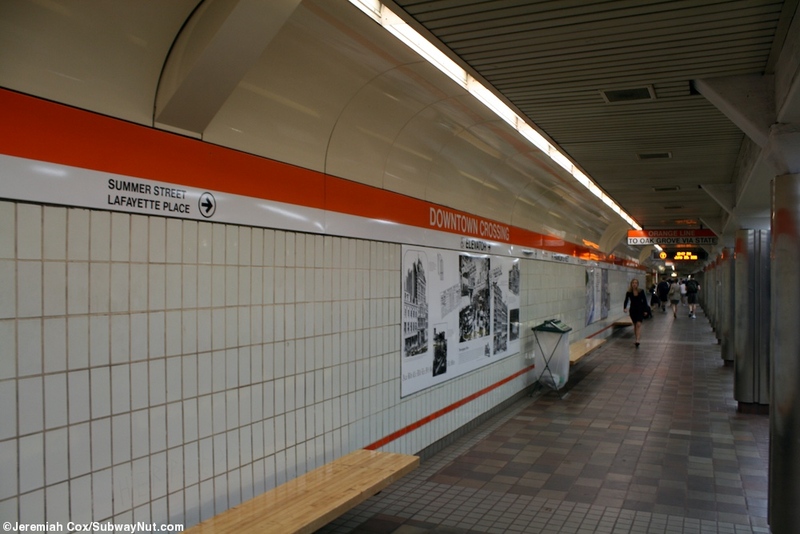 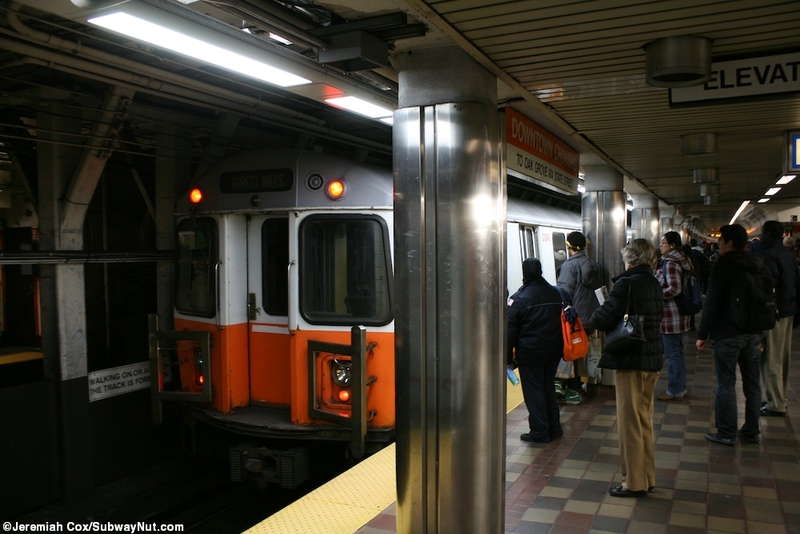 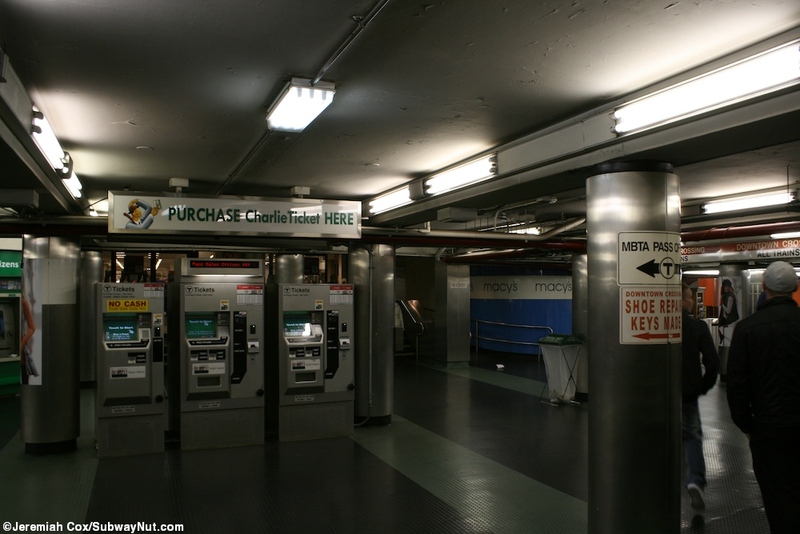 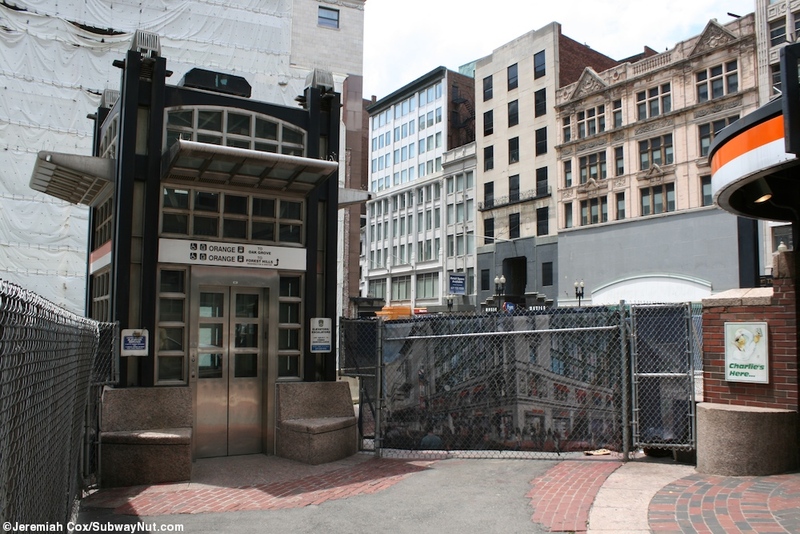 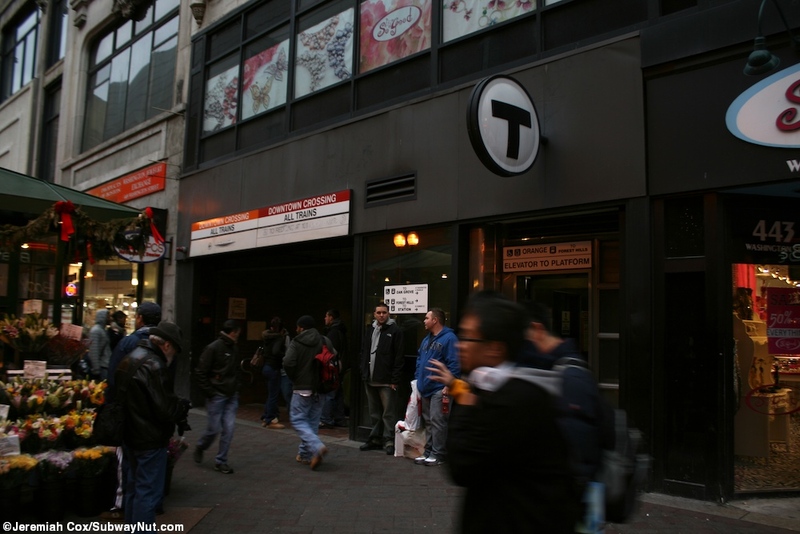 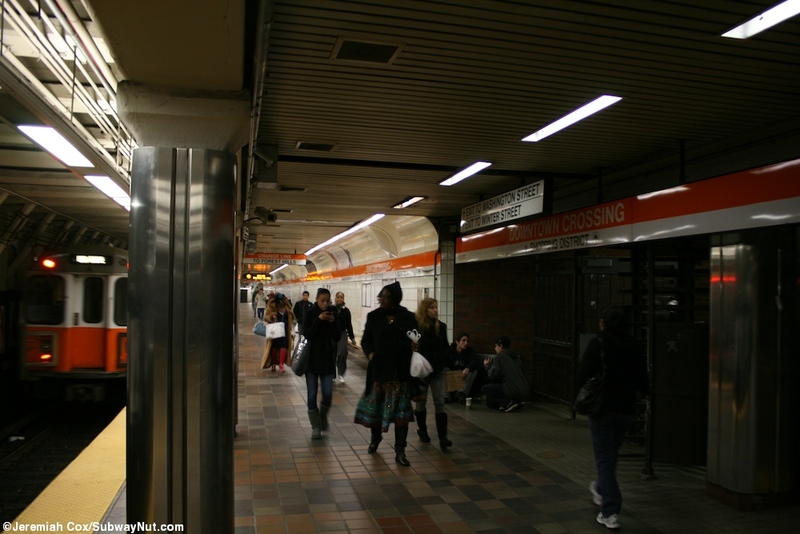 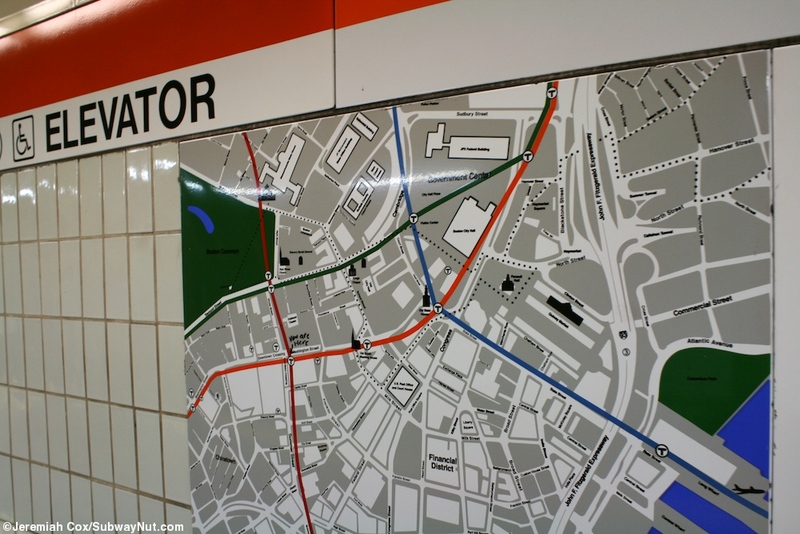 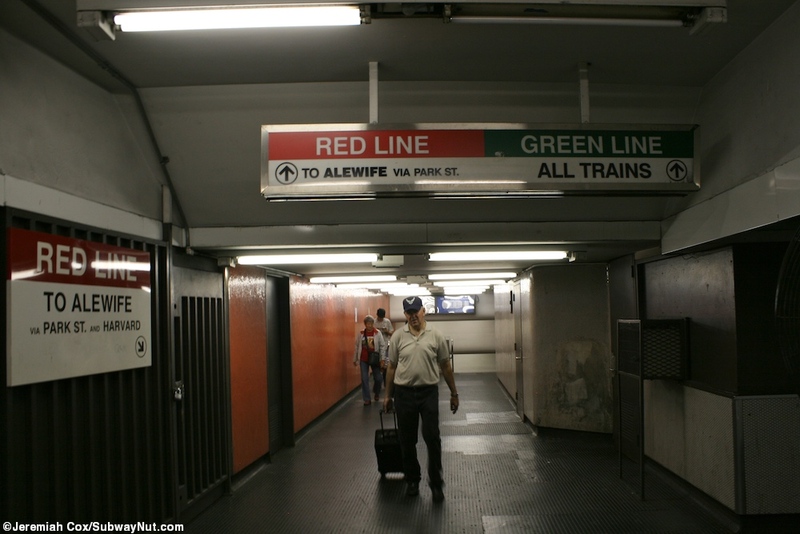 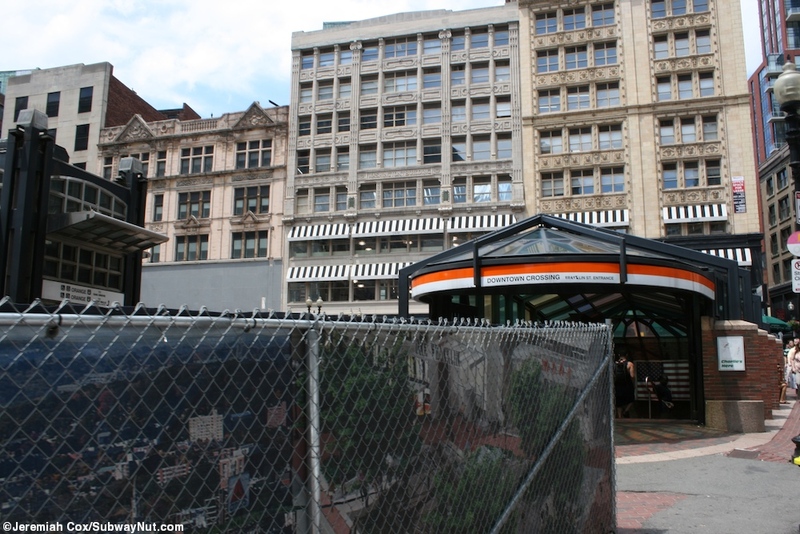 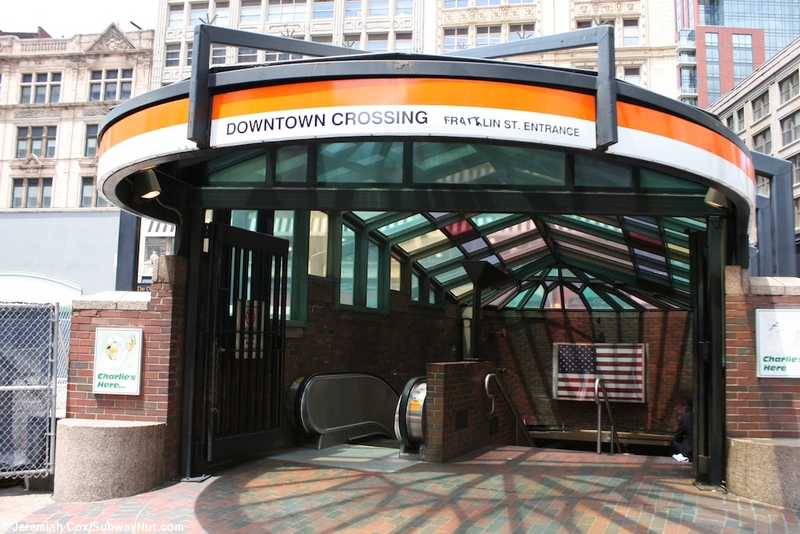 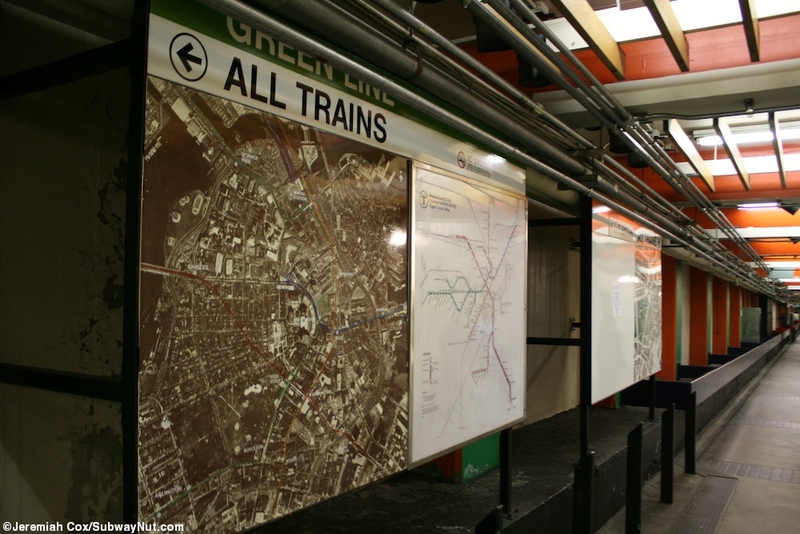 Downtown Crossing on the Orange Line has two offset side platforms for the two-track line. 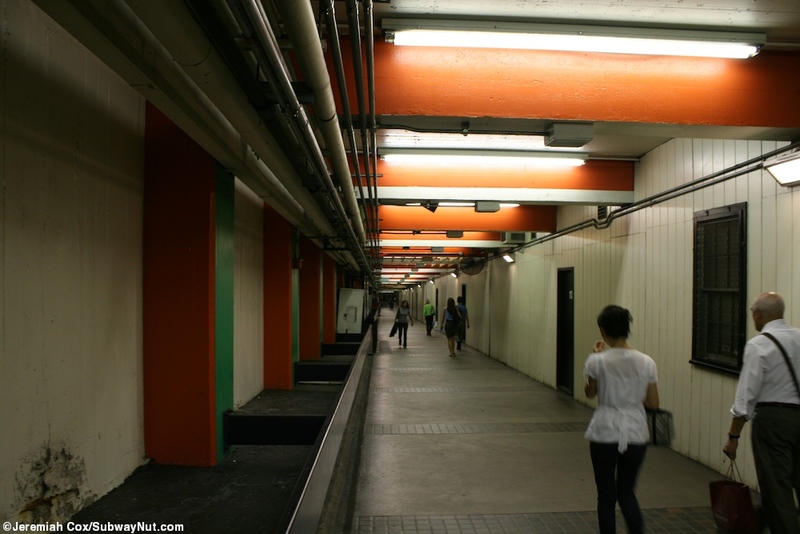 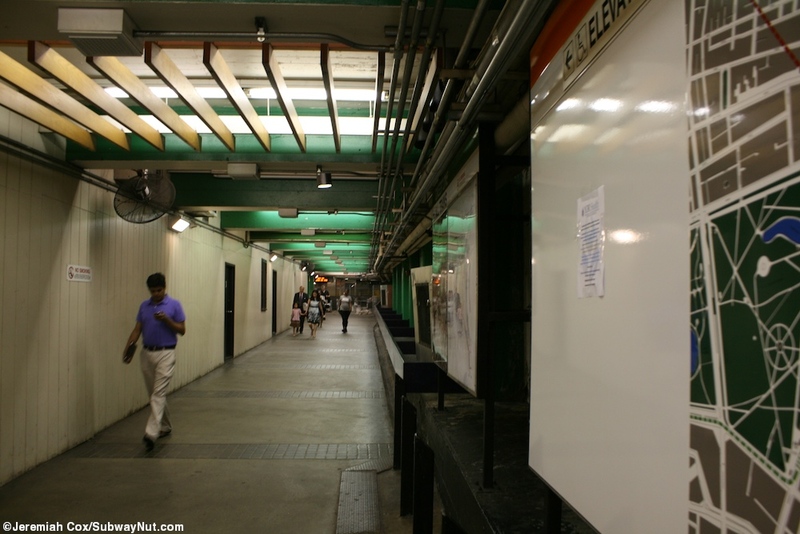 Both of these platforms meet with on platform exits to Summer Street and Washington Street, here staircases lead down to the red line and the Winter Street Concourse extends from the Forest Hills-bound platform. 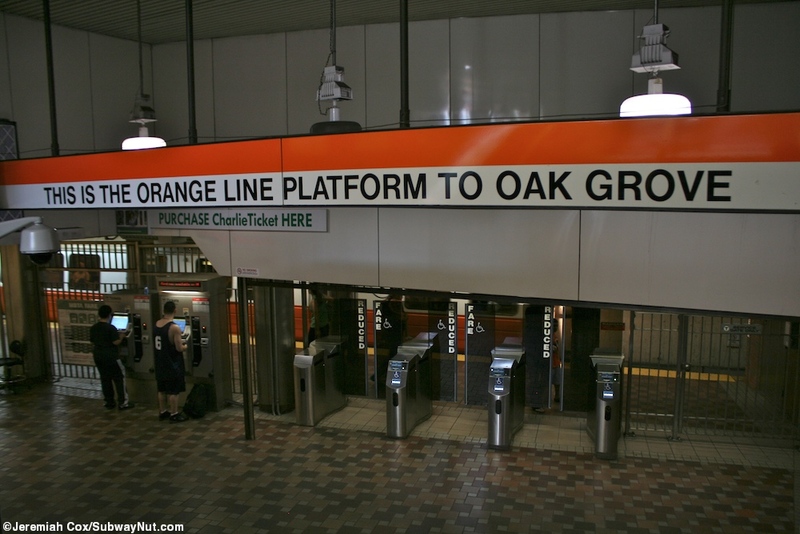 From here the Oak Grove-bound platform extends north to an entrance along the platform with an up escalator/staircase and elevator to the SE corner of Franklin St and Washington St. 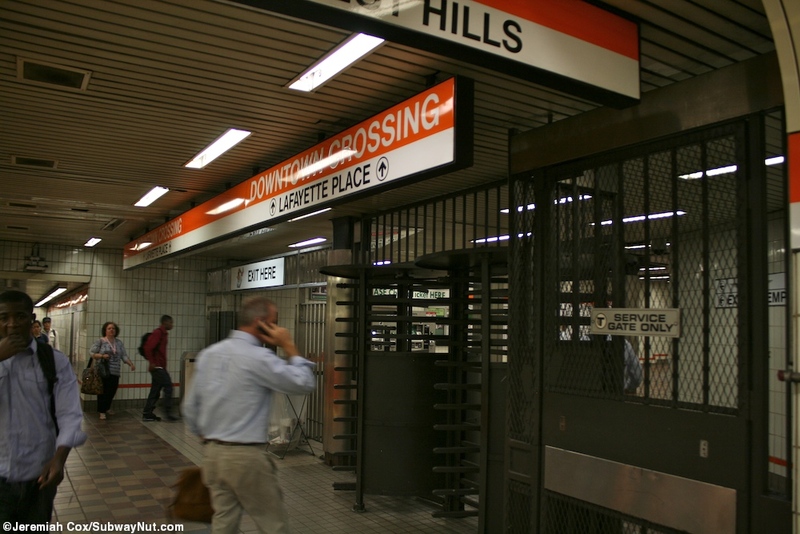 The Forest Hills-bound platform extends south to an additional entrance alongside the south side of Temple Place just west of Washington St.